Radicalism has been bandied about as bad word, and a profile type to avoid/deter, not only out of our lives, but out of our societies. The term attaches bad connotation to a word that could otherwise swing both ways. Just like "kafir", or "heretic" in earlier connotation. Today we celebrate the heretics of the past, and several social/cultural reforms have been attributed to them. Renaissance had a lot of em. Our age of enlightenment, which led to the technologically driven and factually wholesome societies today (which I love more often than loathe) would'nt have come unless there were people who were labeled as outsiders for the most part. Radical only means "relating to or affecting the fundamental nature of something; far-reaching or thorough." That seems benign by definition. There could be good or bad radicals. The bad, malicious, sociopathic radicals are taking over the word in today's world. 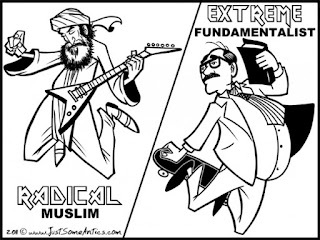 What do the good radicals get? - a lukewarm word like 'reformer'.